Arranged…Somehow these photo challenges are timed very well. When the topic was ‘through’, I just had taken a picture of my friend through the leaves. When the topic was ‘unusual’, I just had taken a picture of a lost shoe. And when the topic was ‘indulge’, some days before I took a picture of the sky I indulged in. And now when the topic is ‘arranged’…Just some days ago I took my first and so far only arranged picture. However, this scene is not arranged by some unknown human hand, but by my very own ones. I’m currently living in Davis. The house is surrounded by nature, while to the city it’s a bike ride of merely three minutes. And the best part: Around this place there are a bunch of orange and grapefruit trees. 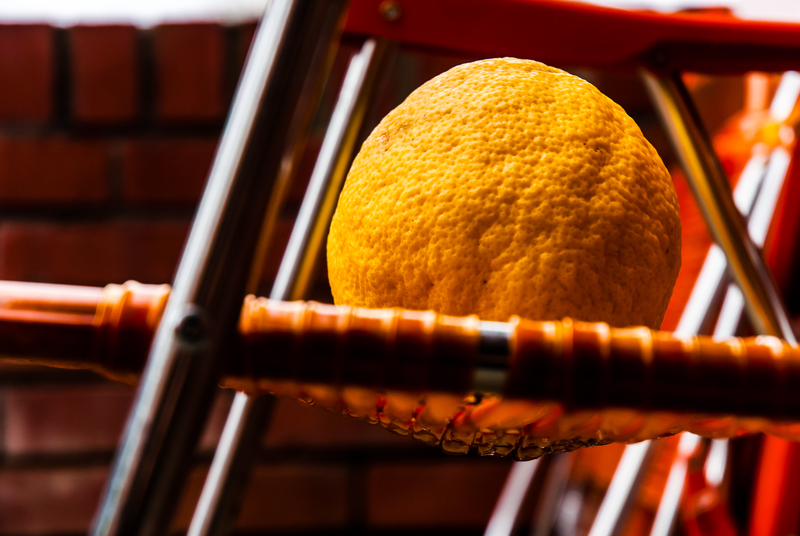 Recently, while I was waiting for someone, I collected two of these grapefruits and put them on this orange-colored chair. I don’t know what made me do that. It was most likely a mixture of boredom and curiosity about how this combination of colors would look on a picture. So here my first-ever arranged pictures. This entry was posted in Intersting Stuff, Pictures, Weekly Photo Challenge and tagged Arranged, Colors, Grapefruits, postaday, weekly photo challenge by David. Bookmark the permalink. schön! Symetrisch aufgebaut mit wunderbaren Farben! 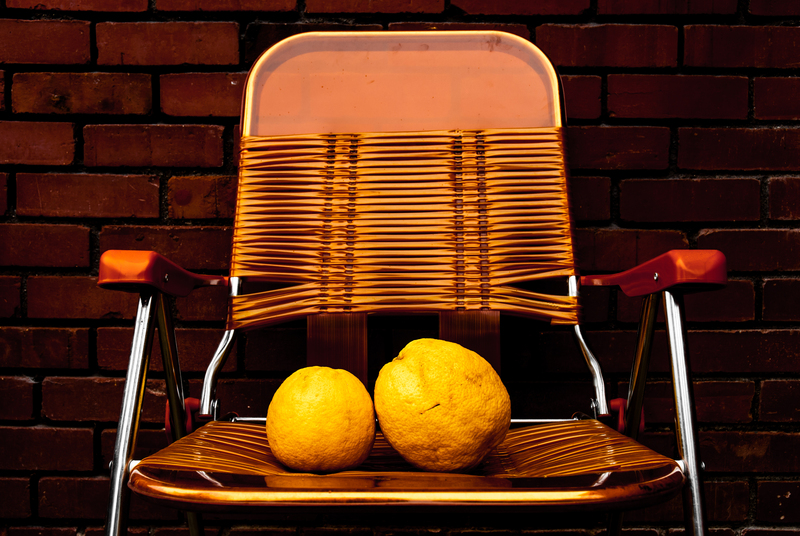 It’s not just a chair when there’s a lemon sitting on it! Great shots!